NEW YORK -- It is hard to definitively say what is "good" for tennis, but if you notice, that doesn't stop people from trying. And Roger Federer let on Friday that he has noticed. He seemed bemused by all the talk about whether he and the rest of the Big Four -- Novak Djokovic, Rafael Nadal and Andy Murray -- have seen the future of tennis at the US Open, and it doesn't include them in starring roles anymore. It will happen eventually, of course. Federer himself had already conceded the obvious weeks earlier this summer, in Toronto, even as he was (hello?) beating Marin Cilic in the third round of the star-studded Rogers Cup. But did Cilic's march to the US Open final signal change at the top is happening right here, right now? "I don't think so," Federer said with an almost disinterested shrug and little smile after Cilic beat him Friday in straights sets. Marin Cilic was the latest proof that there was a big-time changeup on tour this season. More than a decade ago when Federer was the man who ushered Pete Sampras off center stage by snapping Sampras' dominance at Wimbledon, it truly was a thunderclap warning that change was on the way. Federer had long been seen as a ridiculously gifted rising star who could rule the game. And now he was finally commencing to translate it into on-court results. But pardon Federer if after contributing to an apple-cart-toppling men's final that also featured Kei Nishikori, the first Japanese man ever to play for a Grand Slam title, Federer was not ready to declare the Big Four unseated. Not even after he was reminded this US Open marked the first time none of them was in a Slam final since 2005. "You create your stories," Federer told the press. "You said the same in Australia. Everybody. And then we know what happened at the French Open final, Wimbledon final." The rush to recognize epochal moments or eulogize champions is part of the fun and romance of sports. And Federer knows all of that is powering the "Kings Are Dead" storylines, too. Federer's Swiss countryman Stan Warinka -- who with his unremarkable build and wisp of a beard could pass for a milkman from Gstaad just as easily as a tennis scourge -- did indeed rise up and win the Australian Open against Nadal. But then, as Federer pointed out, the results went back to chalk at the French Open, where Nadal dismissed Djokovic in a four-set final, and at Wimbledon, where Djokovic outlasted Federer in another classic, 6-7(7), 6-4, 7-6(4), 5-7, 6-4. As the scores indicate, it was a match Federer just as easily could have won. Even Djokovic's emotionally flat four-set loss to Nishikori in their New York semifinal featured an oddity that sometimes pops up in tennis: Djokovic actually won more points and committed fewer unforced errors during the match than Nishikori. So, you know, it's not like the chair ump should've made Nishikori defend the doubles alleys against Djokovic just to make it a fair fight. "I lost," Djokovic said, refusing to complicate it any more than that. Novak Djokovic played fantastic ball at Wimbledon, but this summer, other priorities took precedence. Cilic, who dominated the US Open final in straight sets, is finally touching the sort of heights that were predicted for him when he made his only other career Slam semifinal as a hard-serving, 21-year-old at the Australian Open four years ago, prompting comparisons to his Croatian idol, Goran Ivanisevic, who is now his coach. The other day, Cilic said something about what this year's Slams meant to the future of tennis: What Wawrinka's victory over Nadal did was give the players on the back bench -- Cilic calls them "the second line" -- some belief they could crack the stranglehold the Big Four has had on the game. But what was just as notable was Cilic did not go on to say that there's been any bragging among the second-liners about making these shocker results a regular occurrence. And Nishikori said the same thing: They all want to do it. They hope and work like hell to do it. But as both of them learned over the US Open fortnight, it's damn hard to make even one of these finals, let alone amass a combined 40 Slam titles like the Big Four has done. "For the guys that are top, [it] feels normal," Ancic said. "But for some guys that are making for the first time, it's the achievement of the career." Indeed, just look at Nishikori's rugged path. He needed 4 hours, 19 minutes to beat big, bad Milos Raonic of Canada in a match that didn't end until 2:26 a.m., and he didn't get to sleep until 6 a.m. He then needed 4 hours, 15 minutes to outlast Wawrinka later that afternoon just to get to his Djokovic semifinal. "It's a bit of a changeup year," Cilic allowed, "considering all the past years that these top four guys were making to the final. Wawrinka opened the doors for us from the second line, and I think most of the guys have now bigger belief that they can do it on the Grand Slams. But, I mean ... the best guys are not going away, and [you] sort of feel is it gonna happen ever." And so, until guys such as Raonic or Grigor Dimitrov, Nishikori or Cilic, David Ferrer or Wawrinka make these Slam upsets normal, hold off on saying wholesale change at the top has cemented in place just yet. Because all of the Big Four have shown their vulnerabilities. Federer is 33. He had a strong summer, and he's still ranked third in the world. Even he confessed that when the Arthur Ashe stadium crowd grew raucous and supportive of him as he was clawing his way back from a no-sets-to-two hole against Gael Monfils in the quarterfinal round, he got quite emotional. The fans' yearning to see him get one more cut at his 18th Grand Slam in a draw that seemed to have opened up for him -- all at a tournament he'd won five straight times but not at all since 2008 -- reminded him no one knows how many times he'll pass this way again. Andy Murray didn't play anywhere near his level from a year before, when he won Wimbledon. Murray, like Djokovic, is 27, but he's now playing for a new coach, Amelie Mauresmo, who replaced taskmaster Ivan Lendl. Murray seems to be battling some ennui since his life-changing Wimbledon win last year made him the first Brit to capture the tournament in eight decades (and brought him an estimated $100 million windfall in off-court earnings). 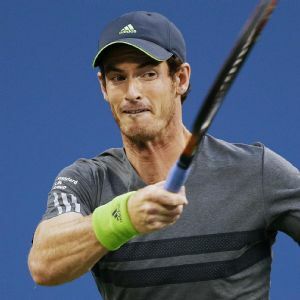 Now that he's achieved the animating goal of his career, Murray seems to drift back at times to soft and churlish Andy, the man whom fellow Brit Virginia Wade has described as a "drama queen." During his US Open matches against Djokovic, and Jo-Wilfried Tsonga before that, Murray often wailed and screamed and stomped around the court, babbling out loud at himself like a mad man. Nadal is 28, but he is out again with another of his disabling injuries -- this time a bad wrist and not his creaking knees. While it's hard to imagine his will ever leaving him, his body could betray him first. Djokovic made two Slams finals and won that Wimbledon crown to regain the No. 1 ranking this year. That should make him the player of the year. Going forward, he seems best situated among the Big Four to repel the challengers who are gaining on all of them. But it's hard to know how to read Djokovic's remark after getting married this summer and announcing that he and his wife have a child on the way: "Tennis isn't No. 1 anymore." We'll see what that shift means to him. But he disagreed Friday that it's why he lost to Nishikori in New York. The truth is, as amazing as the 24-year-old Nishikori's run to the final was, and as nice as it is to see Cilic paroled at age 25 from fate as yet another phenom who never lived up to his advance notices, neither of them looks like tennis' next ascendant. Great if they were, they'd have probably showed it by now. And so, as great a story as Wawrinka's or Cilic's marches to Grand Slam titles were, the takeaway from 2014 is to keep scouring that so-called second line for someone consistently spectacular enough to banish the Big Four. Because it's going to take more than one Slam title win to declare a coup at the top is really on. We still aren't sure who the Next Man Up will be yet. Just that surely he's going to come.